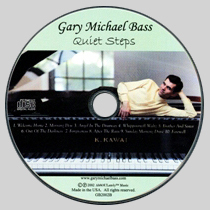 "Quiet Steps" was recorded and released by Gary Michael Bass in 2002. 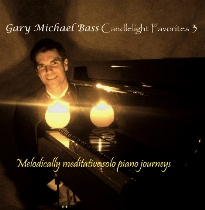 These 10 original compositions take the listener on "melodically meditative solo piano journeys" similar to styles of George Winston or Jim Brickman. 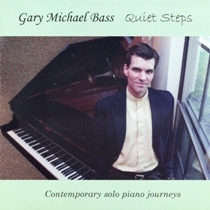 "Quiet Steps" is a perfect companion to your morning cup of coffee or your evening glass of wine. 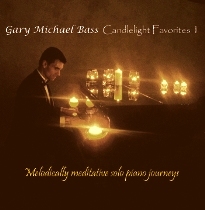 It is available at CD baby. 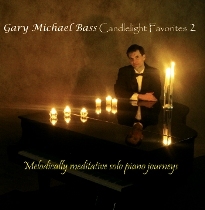 "Candlelight Favorites 1, 2 & 3" will be coming soon to a CD player near you in 2013. Gary Michael Bass explores the standards from Gershwin, Rodgers & Hammerstein, Lenon & McCartney, Sondheim, Mancini, Mercer, Lloyd Webber, and others. 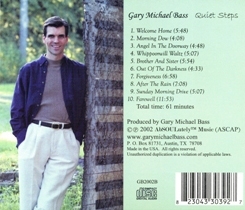 These three albums give the listener Gary Michael's contemporary reflection on the timeless classics.